I’m exhausted (not from making the booties) and that’s all I have to say. 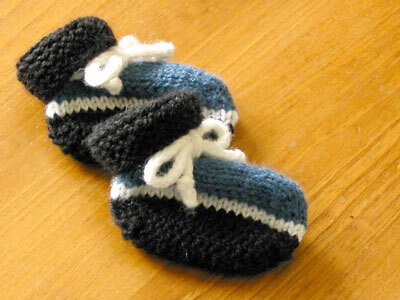 I plan to make another pair in a slightly larger size and then post the pattern. CogKnition posted this on November 12th, 2007 @ 2:01am in Baby Items, Finished Objects, Socks & Slippers | Permalink to "Wave of Babies Booties"